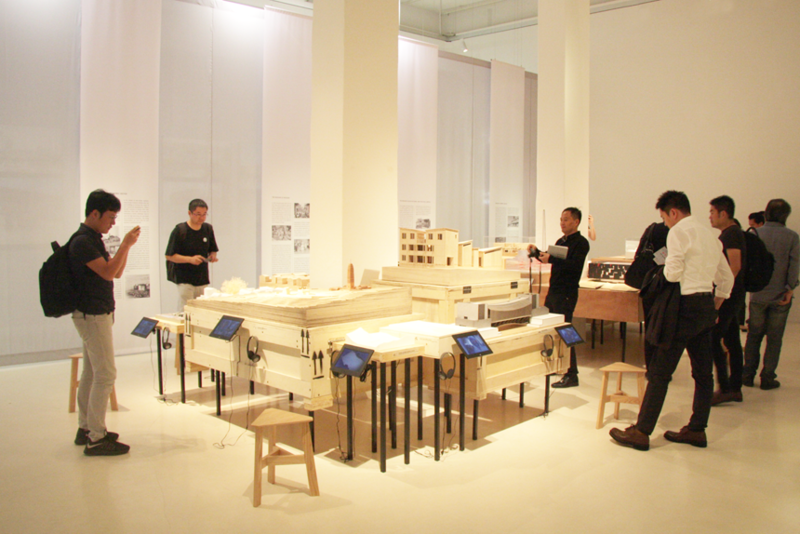 The video documentations of all 16 projects from the exhibition can be viewed here. Ningbo History Museum - WANG SHU, Amateur Architecture Office from Reframe on Vimeo. Ordos Museum - DANG QUN, MAD Architects from Reframe on Vimeo. Jishou Art Museum Bridge - YUNG HO CHANG, Atelier Feichang Jianzhu from Reframe on Vimeo. Museum of Handcraft Paper - HUA LI, TAO/Trace Architecture Office from Reframe on Vimeo. Power Station of Art - ZHANG MING, Original Design Studio from Reframe on Vimeo. Museum of Humanities & Arts - ZHU XIAOFENG, Scenic Architecture from Reframe on Vimeo. Dali Museum - ZHU PEI, Studio Pei-Zhu from Reframe on Vimeo. Earthly Pond Service Centre - WANG ZHENFEI, HDD_Fun from Reframe on Vimeo. Suzhou Intangible Cultural Heritage Musuem - GONG DONG - Vector Architects from Reframe on Vimeo. National Earthquake Memorial & Museum - CAI YONGJIE, Tongji Architectural Design and Research Institute from Reframe on Vimeo. Guangdong Museum - ROCCO YIM, Rocco Design from Reframe on Vimeo. Artron Art Centre - MENG YAN, urbanus from Reframe on Vimeo. New Workers Museum - LIN ZHIBIN from Reframe on Vimeo. Xiao Hui Wang Art museum - ERICH DISERENS, EXH Design from Reframe on Vimeo. Long Museum - LIU YICHUN, Atelier Deshaus, Shanghai from Reframe on Vimeo. Xiao Feng Art Museum - ZHANG KE, ZAO/Standardarchitecture from Reframe on Vimeo.